Campfire Studio ceramics are designed to inspire the art of giving & entertaining. Each piece is thoughtfully designed with a purpose. Whether sharing Sunday suppers or enjoying a sip of morning coffee, there is a design for every moment. Infused with stories from travel and a Danish-inspired design aesthetic, each piece is made in Maine by the hands of husband and wife duo Kristen and Joe Camp. Their eye for high-end design paired with taste for local artisan foods creates a collection that embodies a love affair as sacred as theirs. NOW OPEN! Campfire Retail Space in Portland! Come visit our new shop this holiday season at 93 Washington Ave in Portland! 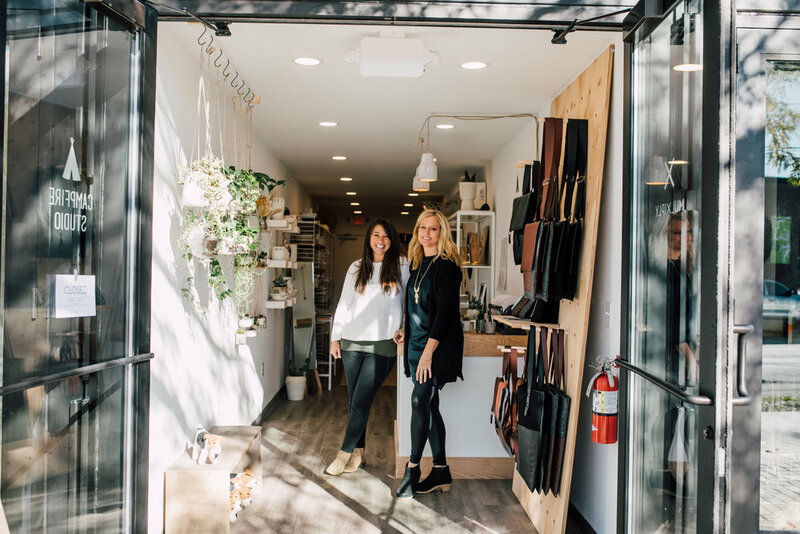 We are lucky enough to be sharing our space with Mulxiply, A Fair trade business that sells leather goods, beautiful Jewelry and felted animals made by hand by artisans in nepal and designed by our friend Tanja Cesh.